As has been pointed out to me by Michael New, the lead Discovery Program Scientist, and Alfred McEwen, the Io Volcano Observer PI, the Discovery program cost cap of $425 million does NOT include the launch vehicle, which will be provided by NASA and would not count against the cost cap for the next Discovery mission. This is good news as it actually represents an increase to the Discovery cost cap and should help more high-concept missions like IVO come more inline with that cost cap. John Spencer is this week's guest blogger over at the Planetary Society Blog (the regular blogger, Emily Lakdawalla, is out on maternity leave). 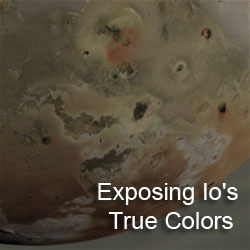 His first post covers recent ground-based observations of Io's atmosphere. 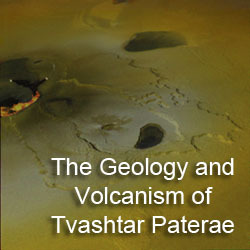 These observations were conducted from the Infrared Telescope Facility on Mauna Kea in Hawaii. Spencer is examining the data coming back (acquired over the last four years) to determine if Io's atmosphere is supported by the satellite's volcanism or sublimation of sulfur dioxide frost on its surface. His research group is using the eccentricity of Jupiter's orbit (and thus Io's distance from the Sun) to look for changes in the pressure of Io's atmosphere over the course of a Jovian year. 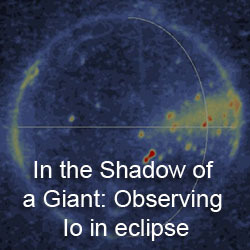 The difference in Io's distance from the Sun between 2005 and 2009 should amount to a 400% difference in atmospheric pressure in an atmosphere that is driven primarily by frost sublimation; a 50% difference has been observed. Spencer's preliminary conclusion is that the atmosphere is primarily driven by volcanic activity but during the warm season, when Io is closer to the sun, sublimation of SO2 outpaces condensation and the atmospheric density increases. Io will be even closer to the Sun next year, so Spencer hopes to see an more dramatic effect in potential observation then. Mike Salway, an Australian amateur astronomer, acquired an incredible series of images showing an occultation of Io by Ganymede last month. Definitely something you all should check out!